The border skirmishes witnessed a spurt after India's air strike on JeM terror camp in Balakot in response to Pulwama attack that killed 40 CRPF personnel. 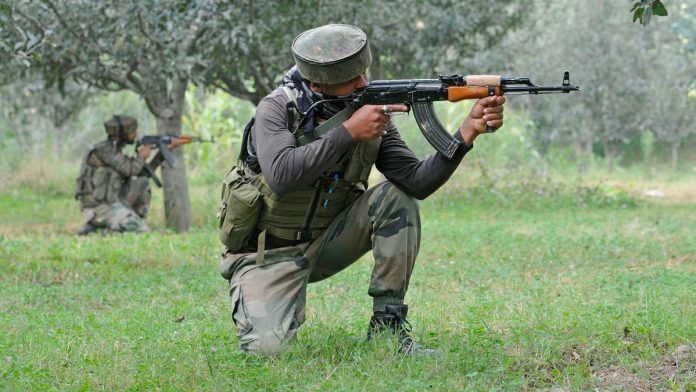 Jammu: An Army personnel was killed Sunday in firing by Pakistani troops along the Line of Control (LoC) in Jammu and Kashmir’s Poonch district, officials said. It takes two to make war, make love. Both DGMOs should meet and put an end to this insensate violence that is claiming lives and traumatising civilians living near the border, also their livestock. If a UN Observer Group can play a useful role in ensuring that a ceasefire holds, it should be welcomed by both sides.